A summary of your current fees is included in the first two columns of this page. Follow the instructions in this article to manage your subscription and make any adjustments if needed before proceeding. To activate your site you’ll need to choose add-card from the payment method column. 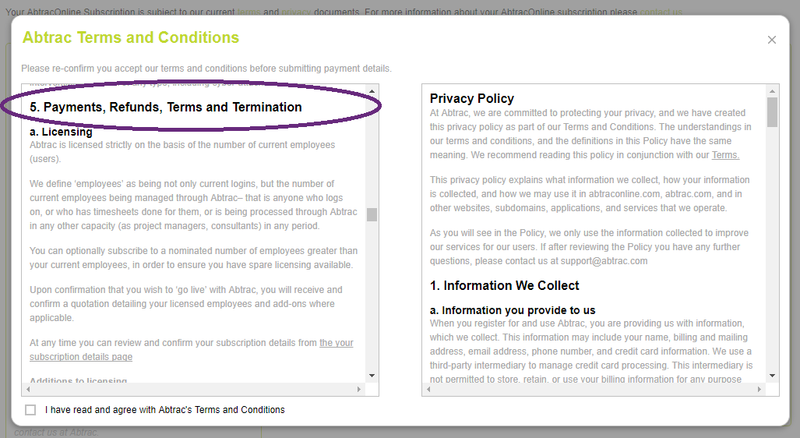 You’ll be prompted to (re)confirm you accept our terms and conditions of use. Please do take the time to look through the terms, particularly the section regarding Payments and Licensing. You’ll then be able to submit your card details. Depending on your card (and your bank) you may be redirected, or delayed whilst Payment Express connects to your bank to perform extra security checks. 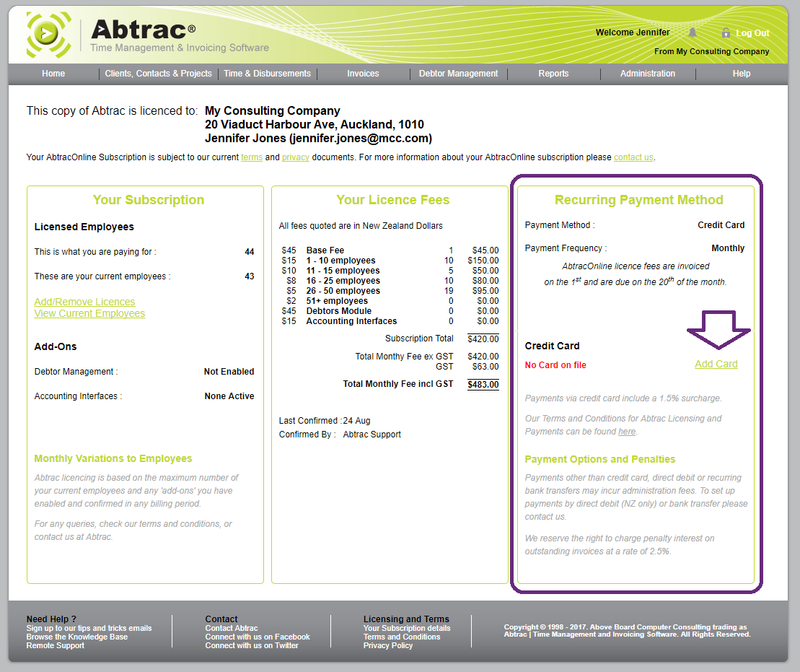 When approved your partial card details will be displayed within the Payment Method section as a valid card. Credit card security and your monthly invoices and deductions. We collect Visa and Mastercard details for payments through our website. Subscription Invoices are sent via email to your nominated recipient on the first day of each month, it is up to you to supply us with a current email address for sending these invoices and statements. If a licensing variation is required to your subscription and your invoice you can contact us within 7 days of the invoice date to make an adjustment. Otherwise the deduction processed on the 20th will be for the invoiced amount. We cannot licence for part months, or for part time employees, and once paid the monthly amounts are not refundable for any reason. All payments using card details via our website are processed through a secure payment service provider Payment Express (DPS). Your credit card details are not held by Abtrac and cannot be accessed by Abtrac. When you enter and store your credit card details from the Abtrac subscriptions page a pre-authorisation and security check is run by Payment Express (DPS) against your card to validate with the bank that your credit card details are correct. As part of this validation you may notice a $1 “pre-auth” or “pending” charge on your credit card statement. This $1 authorisation may appear on your bank account online for 1-7 days before the validation is complete and the pre-auth is removed. You will not be charged the $1 fee. This entry was posted in Administration Settings, Getting Started and tagged activating your subscription, credit card details, going live, licensing, monthly payments by Jen. Bookmark the permalink.